Nadeem Haque is a researcher and author of several non-fiction and (philosophical) fiction books and numerous articles, focusing on several areas at the frontiers of knowledge: consciousness, foundations of evolution, physics unification, history and philosophy of science, environmentalism, animal rights and human history. His main goal has been to show the unity between 'science' and 'religion' - one of the most crucial areas facing humanity today. He is the grandson of pioneering Islamic scholar Al-Hafiz B.A. 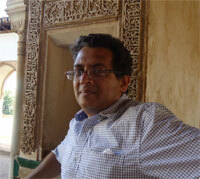 Masri, who wrote the book Animals in Islam, and whose work he has now extended. He resides in Canada where he works as a Civil Engineer.